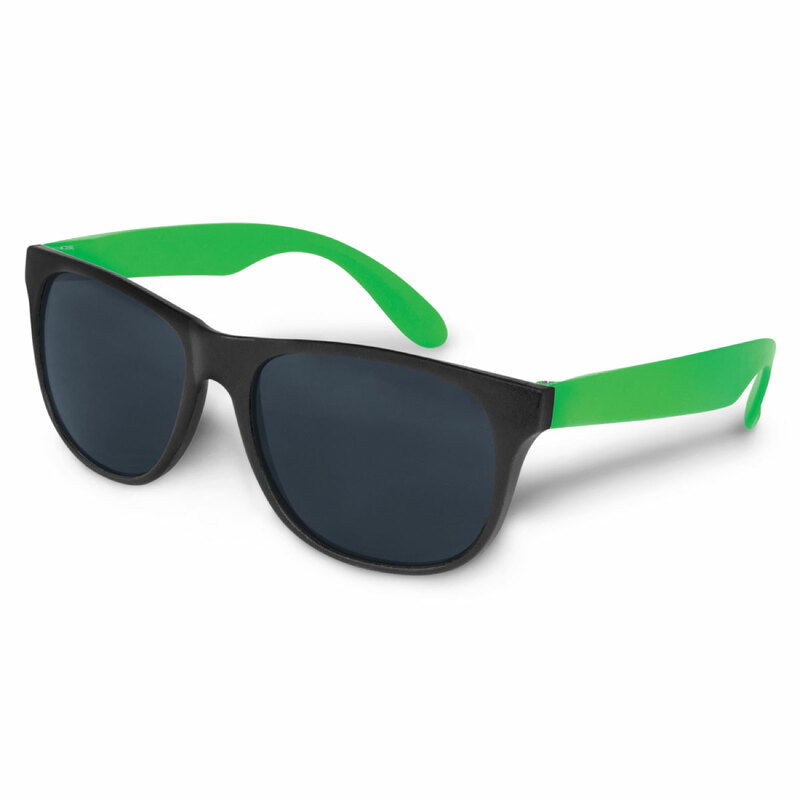 A fashionable pair of sunglasses in a two tone design that looks cool and features your logo. 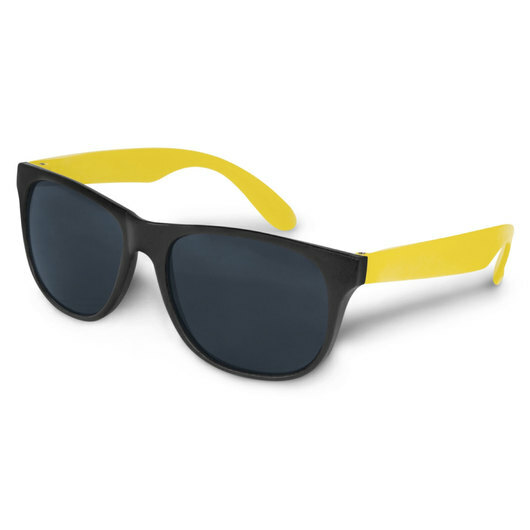 On the beach, park, or anywhere you go, these sunnies are fantastic! Perfect as a giveaway product and will make you look fantastic in their two-tone colour schemes. They're a pair of fashion sunglasses with black polypropylene frame and contoured arms. 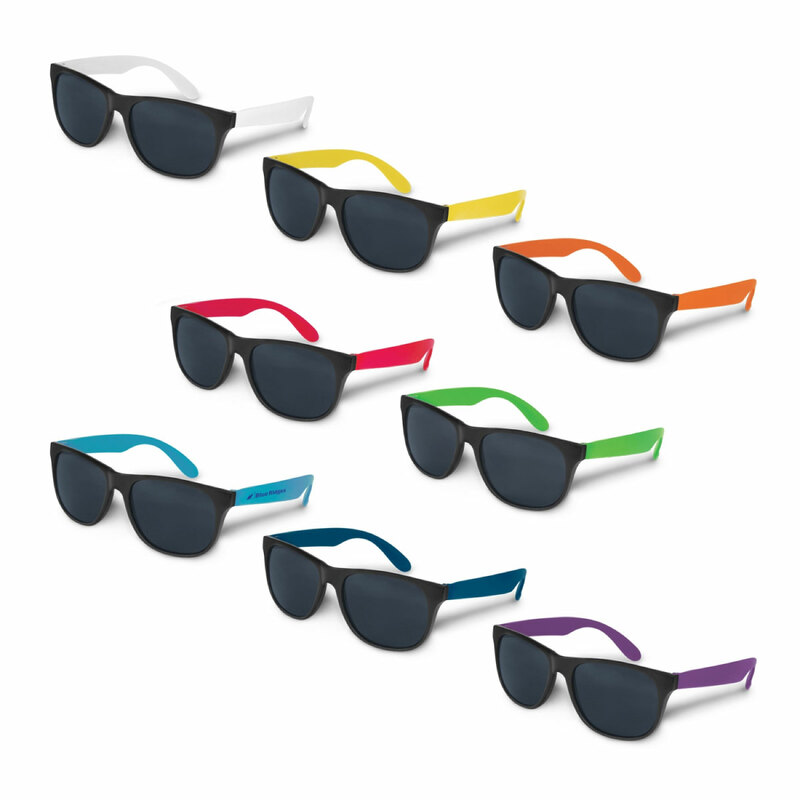 Each pair are fitted with CE standard 100% UV 400 protection lenses, providing both UVA and UVB protection.